Look at the top three cards of your deck. Choose one to put into your opponent's hand and draw the other two. 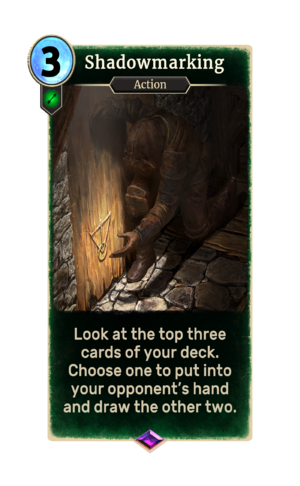 Shadowmarking is an epic Agility action card. It is part of the FrostSpark Collection. The art depicts the shadowmark for "Danger".